Tweet This is one of the harder reviews that I’ve had to write. Not because the album is bad and I’m a huge Metallica fan who doesn’t want to say something bad about Metallica, but because there is nothing like “Lulu” out there. It is a completely original album. Just about everything I’ve read with the exception of one small blurb has been overwhelmingly negative. I think the negativity is due to the fact that the critics and fans want to pigeonhole Metallica as this Thrash Metal only band when they are more than that. 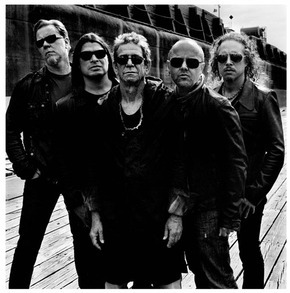 The story goes Metallica plays with Lou Reed at the Rock n Roll Hall of Fame anniversary. Lou Reed likes it so much he says he wants to do an album with Metallica. The initial idea is to stamp “Metallica” onto some old Lou Reed songs. In the mean time, Lou Reed comes up with these lyrics based on two plays by German playwright Frank Wedekind. The plays were called “Earth Spirit” and “Pandora’s Box.” The title character in those stories is named Lulu. I’ve never read or seen these plays. I have done a little research to try and understand the premise of the stories. Here’s my best attempt at explaining the premise. In “Earth Spirit” Lulu gets married three times (I think), but she has been with her true love (Dr. Schon, her third husband) sexually from the beginning. He had her marry the first two times while he pursued a more advantageous match for himself. He however continued to sleep with her. By the end of the “Earth Spirit” Lulu manages to marry Dr. Schon …but is unfaithful to him with several people including a woman and Dr. Schon’s son. When he finds this out he hands her a gun to kill herself instead she kills him declaring he was her one true love and ends the story in prison. In “Pandora’s Box” Lulu escapes prison and marries Dr. Schon’s son Alwa. She becomes a prostitute that everyone falls in love with. One of her clients may or may not be her father. Another one kills Alwa and her final client turns out to be Jack the Ripper. Jack the Ripper and Lulu argue over her fee while at the same time a lesbian lover from the past, who helped her escape prison comes back for Lulu…Jack the Ripper kills both of them as the lesbian declares her eternal love for Lulu. That’s a very brief synopsis of the two stories and I may have messed it up a little. While listening to Lou Reed and Metallica’s “Lulu” I was expecting a retelling of this story. That’s not really what I got. For one, “Lulu” does not go in chronological order. The song about “Pumping Blood” which is only the third song on the album is about Jack the Ripper killing Lulu and her lesbian lover. The last song on the album “Junior Dad” I believe is about Alwa who marries Lulu even though she use to be married to her father. 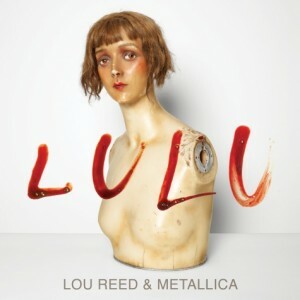 Really “Lulu” is Lou Reed’s spoken word interpretation over various plot points from the two plays with Metallica backing him up. It is seriously like going into one of those hippie like coffee shops with some old man doing spoken word, but rather than some jazz or blues back ground music…its Metallica. It’s not the Metallica we’re used to either. It’s more of a spontaneous; let the lyrics influence them, Metallica.